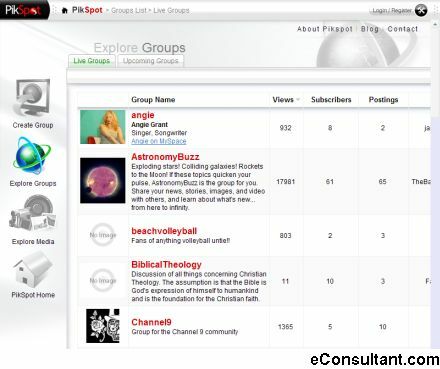 Description : PikSpot is organized by collaborative communities. For example, the YouLaf community is where people publish, view, and share everything funny and UndoTV is where people publish, view and share original technology content. PikSpot members can vote and collaborate in PikSpot "any format" communities which accept audio, video, picture, text and even webcam submissions.